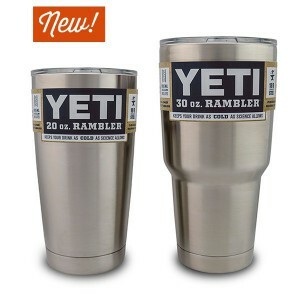 J&N Feed and Seed just received our long-awaited new shipment of YETI Rambler 20 oz. and 30 oz. Drink Tumblers! Visit us now while supplies last. Visit us today at J&N Feed and Seed, for everything YETI: Coolers, Portable Hoppers, accessories and, of course, Rambler Tumblers are back in stock! This entry was posted on Thursday, March 24th, 2016 at 10:02 am	and is filed under News & Updates. You can follow any responses to this entry through the RSS 2.0 feed. Both comments and pings are currently closed.